Couples of days ago, Nokia Indonesia held an exclusive event to introduce The brand new Nokia Lumia 900 to Indonesia. This event was held at Jack rabbits Jakarta, Indonesia. 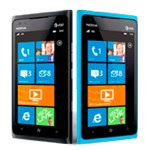 10 Special guest can brings The brand new Nokia Lumia 900 for free.